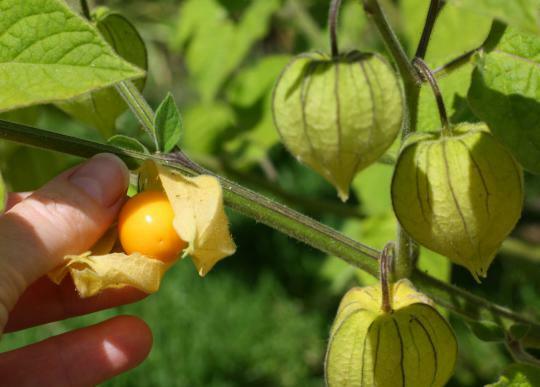 Ciplukan plant which has the Latin name Physalis angulata L usually grow on the outskirts of the river or rice fields. In every region both in Indonesia and abroad ciplukan has a local name. As Morel berry (England), Ciplukan (Indonesia), ceplukan and Pletokan (Java), Cecendut (Sunda), Yor-Yoran (Madura), Lapinonot (Seram), Keceplokan (Bali), Dedes (Sasak), Leletokan (Minahasa) , Ciplukan plants first came from the American continent and then spread in the tropics, including Indonesia. Plants Ciplukan very thrives in the tropics, so do not be surprised if in Indonesia are found wild plants this one. According to research conducted by Baedowi (1998) stated that the leaf extract ciplukan with a dosage of 28.5 ml / kg body weight can affect cell β (beta) Insulin pancreas. It shows that the activity of plant ciplukan antihiperglikemi it. Then the study continued by Juario et al (2000). He tested the antimicrobial activity of pure plant extracts ciplukan. A1-29-12 fraction consisting of fisalin B, D and F shows the inhibitory levels of drinking in inhibiting microbacterium tuberculosis H37Rv. Fisalin D plays an important role in the antimicrobial activity. Natural substance found in fruits ciplukan include: citric acid, Fisalin, Malic Acid, alkaloids, tannins, Kriptoxantin, Vitamin C, Chlorogenik acid, C27H44O-H 2O and sugar. Benefits or efficacy of fruit ciplukan as an analgesic to shed the urine, helps neutralize toxins, relieve cough, helps the work function of the gland in the body, cure rheumatism, cure lung disease and reduce hypertension. While the benefits of each leaf, root and fruit ciplukan are as follows.-benefits Fruit ciplukan: treat ulcers, bleeding gums, cough, lung disease, and epilepsy.-benefits Root ciplukan: curing diabetes mellitus.-benefits Leaves ciplukan: fight cancer, treat ulcers and skin rash. How to cultivate these plants is by boiling and then directly animals given water boiled. Or it could also be eaten fruit.